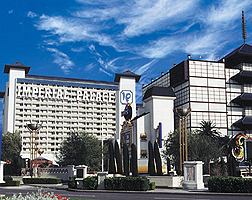 The Imperial Palace offers a number of ways to make your stay extra special – if you know about them! If you’re looking for tips from in-the-know Las Vegas travellers, download the Netflights Las Vegas e-guide. Imperial Palace has an amazing selection of 2,640 rooms for you to stay in; in fact, in Austin Powers: International Man of Mystery, the character Alotta Fagina stays at the Imperial Palace, so you’ll be part of showbiz history. Also based within The Imperial Palace Hotel, the Auto Collections is the world's largest classic car showroom with more than $100 million worth of cars on display and for sale. More than 250 antique, classic, muscle and historically significant cars are on display and nearly all are for sale.